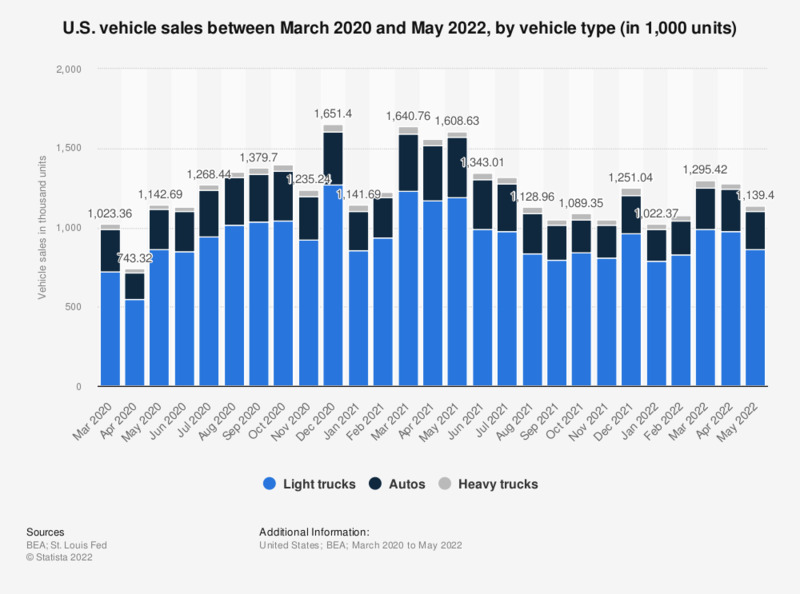 This statistic gives a comparison of U.S. vehicle sales figures in November 2017 and November 2018, categorized by vehicle type. In November 2018, around 43,000 heavy trucks were sold to customers in the United States. The figures were not seasonally adjusted. Heavy trucks are those with gross vehicle weight in excess of 14,000 lbs.